Global streaming service Netflix set its eyes a few years ago on Nigeria's film industry, better known as Nollywood. Distribution of Nigerian movies on Netflix started around 2015. At the time the American giant bought the rights of blockbusters such as Kunle Afolayan's October 1st, Biyi Bandele's Fifty and several others, after they had already been distributed in Nigerian cinemas. 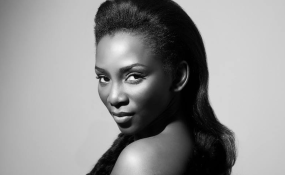 During the Toronto International Film Festival 2018, Netflix announced the acquisition of worldwide exclusive distribution rights for Nollywood star Genevieve Nnaji's debut film as director, the comedy Lionheart. The film marked the first Netflix original film from Nigeria. Many saw this as the beginning of a new era in the relationship between one of the world largest streaming platforms and Africa's most prolific film industry. But, is this actually true? Is Netflix going to transform Nollywood? And how significant will its impact on the Nigerian film industry be? These are not easy questions to answer. Nollywood's economy and modes of production are unlike those of most other film industries. Over the past 20 years Nigerian films have circulated mostly on videotapes and Video Compact Discs (VCDs). This distribution system made the industry widely popular across Africa and its diaspora. But it prevented Nollywood from consolidating its economy and raising the quality of film production. Piracy dramatically eroded distribution revenues and producers had trouble monetising the distribution of their films. Nollywood prioritised straight-to-video distribution because cinema theatres had almost disappeared in the country (as in most other parts of Africa) as a result of the catastrophic economic crisis that affected Nigeria in the 1980s. New multiplexes have emerged since the beginning of the 2000s. However, today there are only about 150 widescreens for a population of almost two hundred million people. The cinemas that exist are often too expensive for most of the population that used to buy and watch Nollywood films when they were distributed on tapes. Within this context, many in the industry thought that streaming could be the best solution to the industry's problems with distribution. However, a closer look to the history of what has been labelled the "Nigerian Netflix" (iROKO.tv, the leading streaming platform for Nigerian contents) shows that the reality is more complicated. When the company decided to move its headquarters from Manhattan to Lagos it encountered countless difficulties. They were mainly connected to the costs of infrastructure development in Nigeria and to the hostility of local distributors who controlled Nollywood's economy since its creation. Internet connection in Nigeria is still too weak and expensive to guarantee easy access to streaming platforms. As a result, Nollywood content distributed by iROKO.tv and Netflix circulates mostly in the diaspora. Netflix is aware of this problem and is investing in infrastructures to secure a better connection for its Nigerian audiences. But larger investments seem to be necessary to produce a significant impact on audiences' behaviour. Accessing Nollywood films via piracy or local screening venues will continue to be, at least in my view, the key strategy adopted by the largest percentage of Nigerian viewers. Netflix could have better chances in penetrating the country's elite market, as richer people in Nigeria and across Africa have easier access to reliable power supply and internet. This might be the reason why MultiChoice, the South African telecommunication giant controlling much of Nollywood distribution across Africa through its Africa Magic channels, has reacted nervously to Netflix's increased interest in African markets. MultiChoice wants Netflix to be more closely regulated. These two aren't the only telecommunication "superpowers" in the field. France's Canal Plus and the Chinese StarTimes have also made a few investments in Nollywood over the past few years. The competition among all these actors will probably have a positive impact for viewers across Nigeria and the continent. It could bring lower subscription fees for streaming and TV content packages. There are also likely to be new investments in content production and infrastructures. And there's larger continental and global exposure for Nollywood films in the offing. It remains to be seen how good these developments will be for Nollywood producers. Until now, foreign investments in Nollywood have mostly translated into "more of the same" content. Working conditions for crews and actors have remained the same - basically, low budgets and quick shooting schedules. In fact, big investors seem to be mainly interested in Nollywood's already established popularity with African audiences. Making Nollywood more palatable for international audiences doesn't seem to feature. This means that in most cases they are not ready to invest bigger money in production budgets. Rather, they invest in better structuring distribution networks to extract as much profit as possible from the Nigerian industry. And most African audiences are indeed happy with how Nollywood is, even if they tend to complain regularly about the low quality and the repetition of film contents and aesthetics. The fact that Nollywood as it is keeps on attracting audiences makes investors reluctant to change the scale of their production budgets. There are a few bigger productions, with higher production standards, that have emerged over the past few years in Nollywood. But they have hardly been the result of investments made by foreign firms like Netflix, Canal Plus or MultiChoice. Nigerian producers are those who are mostly concerned about raising the quality of Nollywood films. They want to give better content to their audiences and reach global screens. In most cases, the people investing money in these kinds of projects have been independent producers or groups of investors related to the new business of multiplexes in Nigeria. In my view, the question is: will these people benefit from Netflix, so as to continue investing in higher quality content? Or will Netflix and other international companies end up taking over the industry to make it only a bit more of the same?